Eight years since their last studio release, Floyd have come forward with another fine collection of songs, with no real surprises — their timeless style intact — this could just as easily been the follow-up to Wish You Were Here. The band has a renewed energy on this outing, having long since proven to themselves they can do without former bassist / vocalist / iron-hand bandleader Roger Waters. 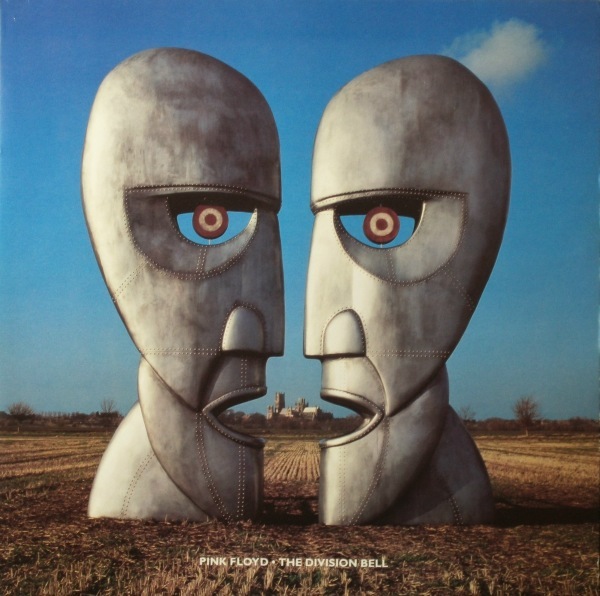 The sound seems to have returned to a more playful pre-Wall feel, more musical, without all the gloom and doom depressionistic lyrics that marred that album and The Final Cut — you won't want to go commit suicide after listening The Division Bell, it's a far more positive experience, and a big step forward from the overly self-conscious 1987 album as well, I think the band has done well by not trying to emulate Waters' presence, and instead allowed themselves the space to show their true colors; even Rick Wright is active again, co-writing most of the music with Gilmour and penning one tune himself. The band wisely brought in guests to help out with much of the lyrics, which adds to the album's overall variety. My only complaint here is the seemingly excessive use of backup singers, which gives all of the more radio-ready tracks a more soulful and overtly commercial feel — a crutch that Floyd doesn't really need to lean on, and one that certainly doesn't enhance their sound. That said, this is a fine album that I'm sure most would enjoy.